Colorado regulators on Friday recalled recreational marijuana grown and sold by two prominent Boulder County cannabis businesses — The Farm in Boulder and Headquarters Cannabis Co., which has shops in Lyons and Boulder — over concerns the plants were grown with unapproved pesticides. The recalls, called health advisories by the state, are the eighth and ninth holds announced by the Colorado Marijuana Enforcement Division since its first on Feb. 19. 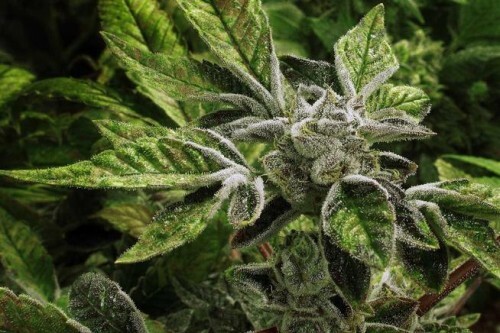 The advisories note that 16 batches of The Farm’s marijuana tested positive for avermectin and 36 batches of Headquarters’ cannabis tested positive for spiromesifen. 5 common pesticides: What exactly are these chemicals, and why are they banned? The Farm says it is a victim of a recent mix-up involving the once-allowed Guardian brand pesticide, which failed to include one of its active ingredients on its product label. Guardian identified itself as 100 percent natural with ingredients ranging from cinnamon oil to citric acid, but an Oregon cannabis testing facility found abamectin, which is a mixture of avermectins and is banned for use on cannabis in Oregon, Colorado and others states, inside the pesticide made by Illinois-based All In Enterprises. The Guardian news shocked legal cannabis growers attempting to adhere to ever-changing state guidelines as well as the agencies regulating the marijuana cultivators. In late-January, the Colorado Department of Agriculture pulled Guardian from its list of allowable pesticides for use on cannabis, and the Oregon Department of Agriculture did the same in early February. Ledden and her colleagues are now curious how the state, which allowed Guardian on cannabis as recently as January, will handle recalls of businesses that were lawfully using the now-tainted product. Gov. John Hickenlooper in November declared that any marijuana grown with unapproved pesticides is a public health risk and should be destroyed. Headquarters Cannabis Co.’s ownership did not respond to e-mails and phone calls on Friday. Consumers who have any of the recalled retail pot products from The Farm or Headquarters Cannabis Co. should return it to the place of purchase to ensure it is disposed of properly, the state said. It is unclear how large the recalls are or how many actual products or plants are affected. Product labels will contain the businesses’ recreational license numbers — 403R-00275 for The Farm’s products and 403R-00445 for Headquarters’ products. The specific list of strains can be found on the state’s website — both for The Farm and for Headquarters Cannabis Co.
Read the full statement issued by Boulder marijuana shop The Farm.